PICpatch labels can also be customized to meet your needs. 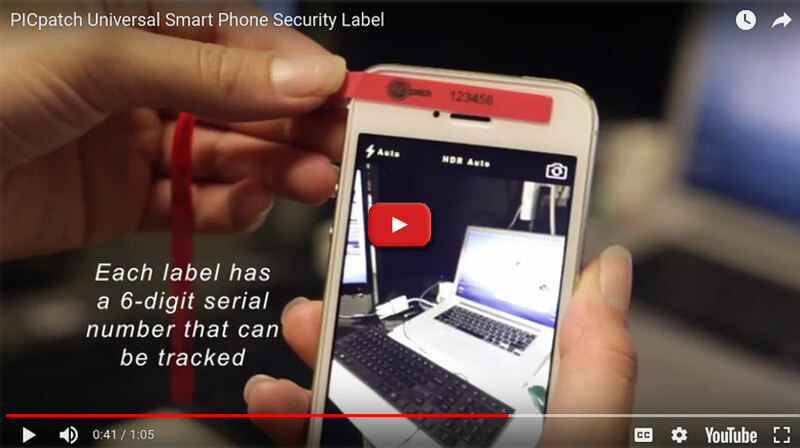 Add a company logo, or image to your security labels. 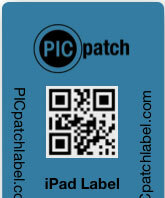 PICpatch offers barcode scanable Apple security labels, developed to work with the iPhone, iPod, iPad and MacBook. PICpatch Tracking is simple, download our Excel™ Template, to easily track visitors and record their unique PICpatch security number and monitor for tampering. View our brochure to learn how PICpatch prevents unauthorized pictures, port access, and secures your property. Want to see, touch, feel and try out our products to get a better idea of what they are and how they work.